The Royal Anthropological Institute has launched its third international photo competition. 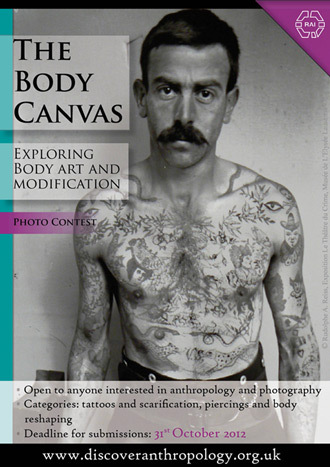 The Body Canvas is open to anyone interested in photography, anthropology and science communication and explores the topic of body art and modification. Categories include: 1) tattoos and scarification, 2) piercings and body reshaping. Deadline for submissions is 31st October 2012.